The Fenwick Island Beach Patrol consists of 28 lifeguards, a lieutenant and a captain. 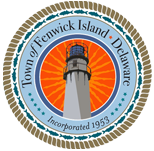 The Town of Fenwick Island values the experience of its lifeguards. We encourage qualified guards to complete an application. 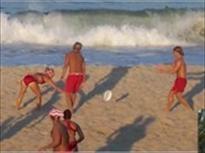 Each individual trying out for the Beach Patrol must pass the physical tryout. This includes several running and swimming events that test physical abilities and endurance. The tryout will consist of but not be limited to the following: a 1-mile run, a 500-meter swim in 10 minutes, a 150-yard soft sand sprint, run-swim-run (50, 50, 50) and a minimum 30 pushups in 1:15 seconds. Successful completion does not guarantee employment. Contact Beach Patrol Captain, John “Ryk” Rykcazewski, for more information.